The programme drew input from mineral processing facilities, design engineers and international stakeholders. External research organisations and specialist suppliers were also consulted. The focus was around equipment construction and process performance, machine operability, maintenance access and site management environmental factors. Along with improving machine reliability, increasing asset life and extending periods between maintenance shutdowns, the redesign programme will also canvass the broader issues of design standards, advanced condition monitoring, remnant asset life prediction and whole of life asset cost. According to Schenck Process Australia R&D Group Project Manager Karl Carter, design standards, including understanding the operating environment, is the first stage of the programme and Carter believes that a back-to-basics design philosophy will prove the best approach. Local environmental factors and feed variations will also be considered as part of the programme. Carter said that BS7608, the design standard for fatigue analysis used by screen manufactures, will remain as the reference standard however extensive analysis and testing of components and techniques will be undertaken with the goal of extending machine performance and reliability. He added that the range of inputs into the programme has provided an excellent foundation for ongoing development of what could prove to be a breakthrough in screen design and management. The company see the technology they are developing as a game changer for the international hard rock processing sector. 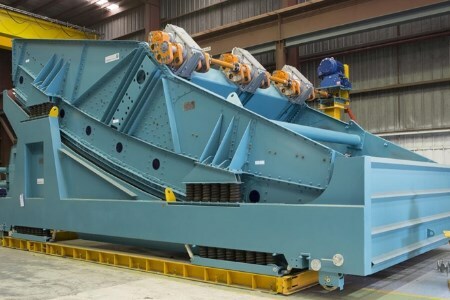 According to Carter, the opportunity to collaborate with mining companies in research projects is an important part of the evolution process of equipment and machinery and should be grasped with both hands.